The following is an explanation of the endovenous laser ablation process. You will be provided consent forms to review and sign before Dr. Dando begins the procedure. First, your leg will be cleansed with antiseptic skin prep. Then, a sterile drape will be placed over the leg. The first thing Dr. Dando will do is to anesthetize the access site on the leg (usually just below the knee) with Novocaine. Then, a small needle will be placed through the skin and into the vein to be treated, all under ultrasound guidance. Next, a guide wire is placed through the needle and advanced up the vein to the groin area. Then, a very small plastic tube, or catheter, is placed over the guide wire and advanced up to the groin. The next step, the “numbing” step, is probably the most important part of the procedure. A needle is used to place the anesthetic solution around the vein. 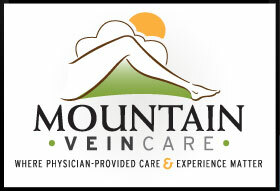 Several needle pokes will be done along the course of the vein, which runs from the access site below the knee along the inside of the leg up to the groin area. This is done under ultrasound guidance and is a very important part of the procedure because once it is completed, you will not feel anything when the laser is turned on. A laser fiber is then inserted into the catheter tube and advanced up the vein. The final part of the procedure is turning on the laser machine and pulling the laser fiber out over 2-5 minutes. The assistant will then clean your leg and apply a thigh-high compression stocking (you will be given a prescription for these stockings, and will be responsible for obtaining and bringing it with you to the procedure). The last part of the procedure will be for you to walk on our office treadmill for 20 minutes. The treated leg may feel “numb”, but you will be able to walk normally and drive. The entire procedure is done with local anesthetic only; you will be completely awake. The procedure generally takes about one hour. Mild achiness can occur for several days after EVLA; any discomfort is generally relieved with acetaminophen (Tylenol), ibuprofen (Motrin, Advil), or naproxen sodium (Aleve).